The Twitter detectives at Eurogamer have dug up some good news on Sony Santa Monica's highly anticipated PS4 game, God of War. There's "No freakin' way!!!" it will have microtransactions. A screenshot showing a kind of currency in God of War sparked fears the new PlayStation 4 game will have microtransactions. It wouldn't be the only single-player blockbuster with them after all - I'm looking at you Middle-oeuf: Shadow of War and Assassin's Creed: Oranges. 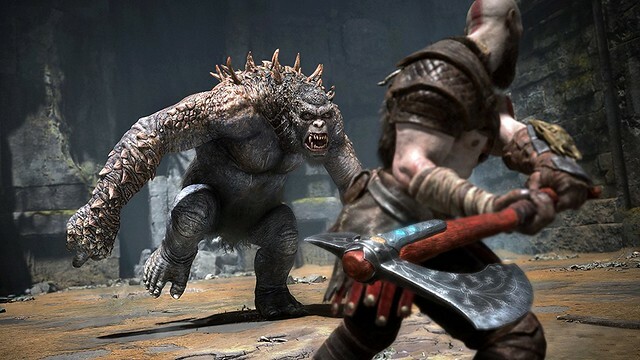 The question was put to God of War director Cory Barlog on Twitter, to which he responded, unequivocally, "No freakin way!!!"